Was 2017 good to you? It was pretty good for me. It wasn’t as spectacular as I thought it would be but as I was going through my photos over the year, I found a lot of great highlights! 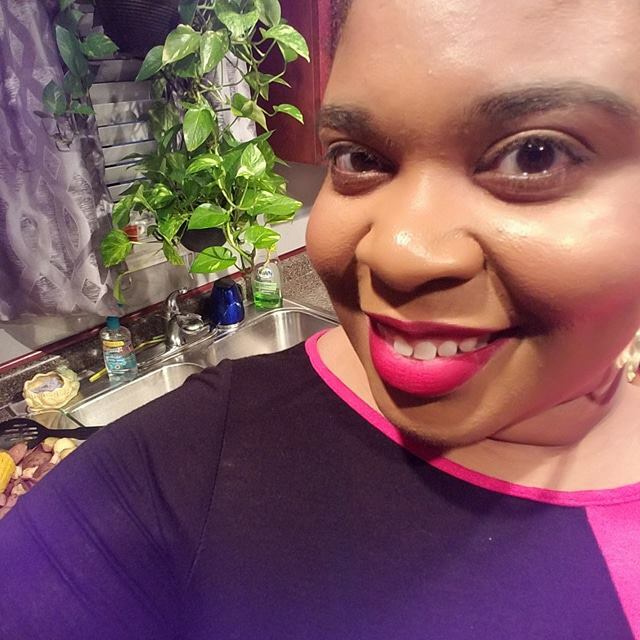 I finished my Master's, I got the guts to quit a job that I HATED, I finally found a rhythm for my blog that has worked and helped my traffic tremendously, I finally went to BlogHer, I worked on building my own business & online presence plus I got closer to my mom and my brother. I thought that I would do a lot more dating (which I actually kinda did). I thought that I would have a higher-paying job instead of being self-employed and I thought that I would save a lot more money. Those things didn't happen, at least not in the way that I thought they would. But I definitely think everything that happened in 2017 is laying the groundwork for a strong and prosperous 2018 and I'm looking forward to seeing just what the new year brings. I'm not setting a resolution this year because I know what I want and need to do but I also want to be open-minded to receiving great things that I haven't even dreamed of yet. “word” for 2018. I think my word will be “build”. I want this new year to be the year that I build a better life, a better community, a better future, better relationships, and a better me. What about you? How was 2017 for you? What is your “word” for 2018? Can you believe that this year is almost over?!? I’m sooooo ready for 2018! I can’t wait to see what the new near will bring! Unfortunately, I haven't nailed down my plans for New Year’s Eve though. I’m such a procrastinator. This happens every year! One of these years I’ll get it together. lol I’m still going to put together my outfit just in case I find somewhere to go. I already knew what I would be wearing for Christmas but I’m not sure about NYE yet. 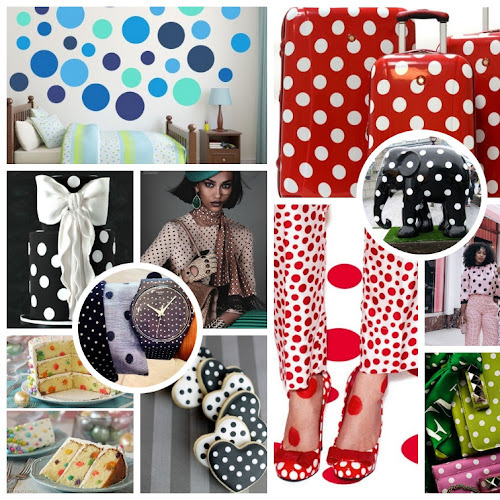 Whatever it is, I know it will have sequins. It’s my favorite night of the year to wear sequins. It just seems so right! 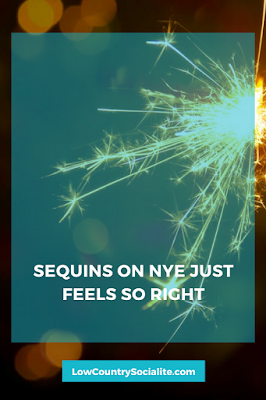 (even thought I actually wear sequins anytime I freakin’ feel like it..LOL) No matter where I'm going- if it's a party or going to church or just staying home, I love to wear sequins on New Year's Eve! 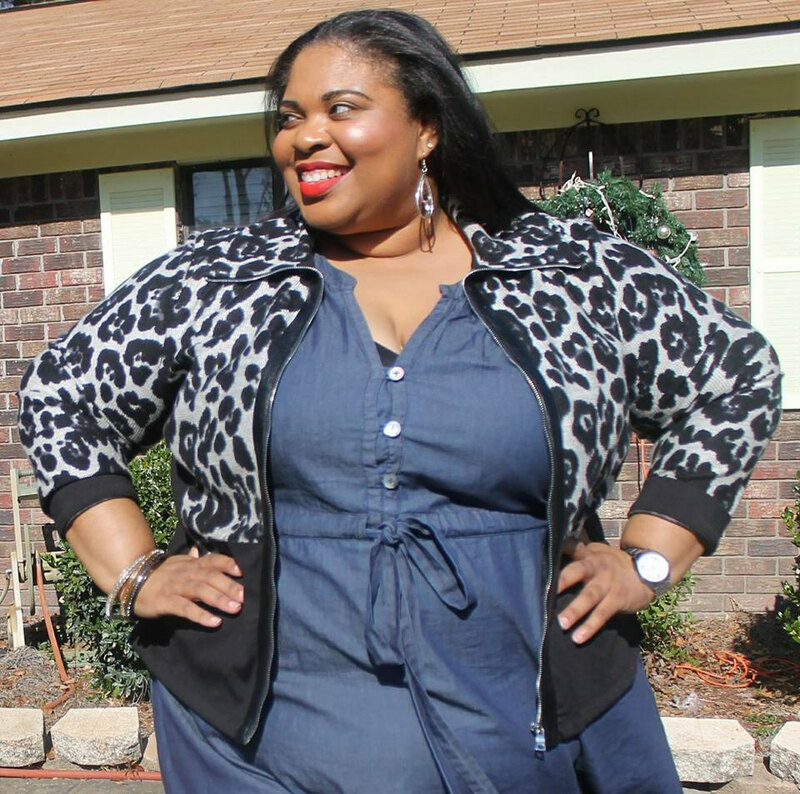 Here are some of my favorite plus size sequin looks and hopefully we’ll have plenty of time to get our orders in for the big night! 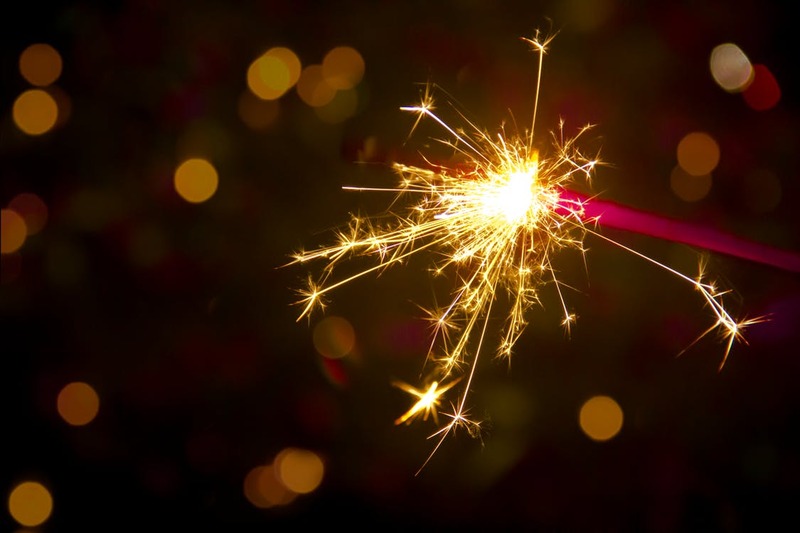 What are you wearing on NYE? I hope you’ll tag me in all of your amazing New Year’s Eve looks! Hey friends! The end of the year can be one of the hardest things to tackle when it comes to finances. OMG, whose idea was it to put two holidays back-to-back? Thanksgiving just ended and Christmas is right around the corner. Well, actually three for us if you count my mom's birthday (which she feels should be a national holiday…LOL). It’s an EXPENSIVE time of year for this family! Anyway, managing finances around this time of year can be especially hard so here are some of my favorite tips to make it just a little easier. One thing I like to do is purchase presents EARLY- like springtime early. Look for great deals throughout the year and shop with Christmas in mind, even if the calendar is nowhere near December 25th! Another thing I like to do is plan ahead in the months right before the holiday season. I start by clipping coupons so we can get our turkey and all the fixings at a great price. I also plan ahead by choosing the outfits that I'm going to wear on Thanksgiving Day, Christmas Day and New Year's Eve weeks in advance. As a fashionista, I love to be put together and not waiting until the last minute assures me that I won't have to run out and buy something. All unnecessary spending has to be curbed at this time of year! This also allows me to catch up with great sales when I shop early for a particular day in mind. 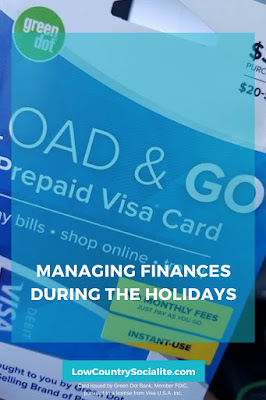 Lastly, and probably one of the most helpful tips that I can offer, is to separate your finances and allocate a specific budget for all of your separate holiday plans. 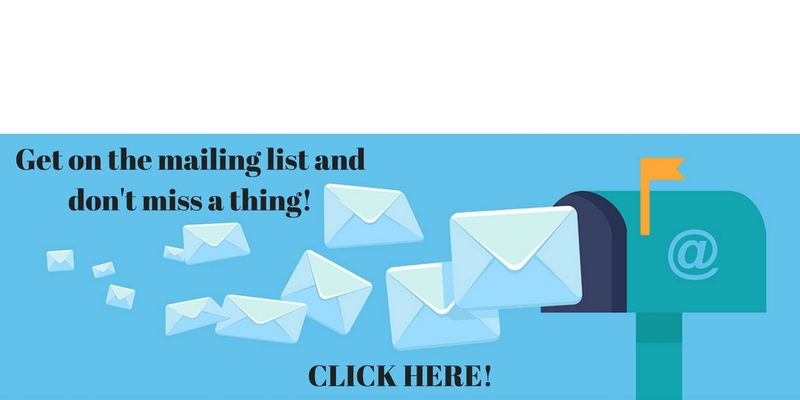 An easy way to do this is to use Green Dot Prepaid Cards! 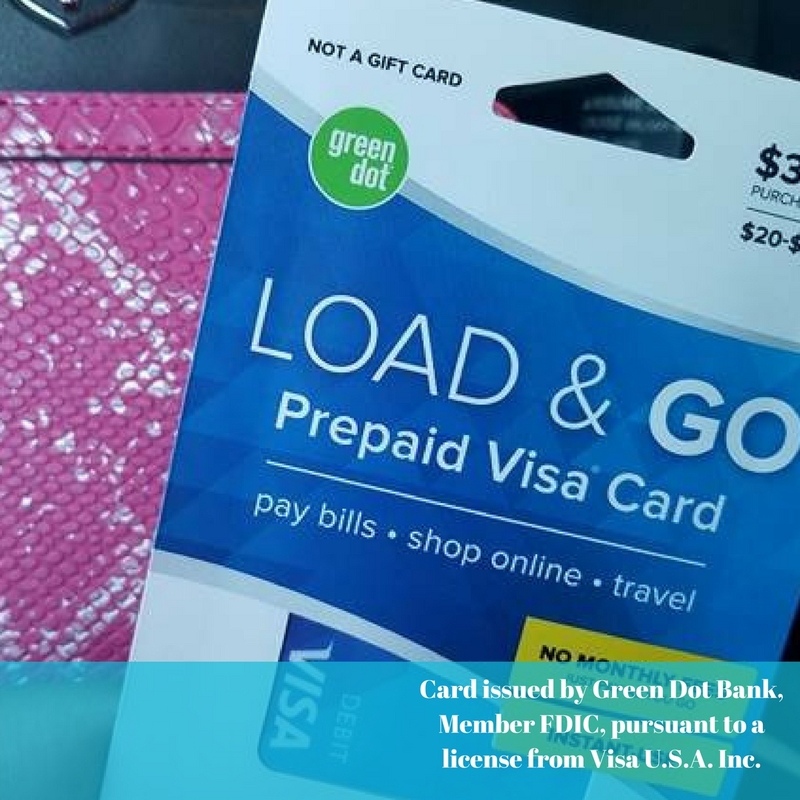 I headed over to Walgreens and snagged Green Dot’s new Load & Go™ Prepaid Visa® Card for $3.95 and loaded the amount that I wanted to spend on that card. There’s no monthly fees – just pay a transaction fee only when you use it. It's a non-reloadable Visa debit card that’s accepted everywhere Visa debit is accepted in the U.S.! I recently used one to pay for our first event of the holiday season. 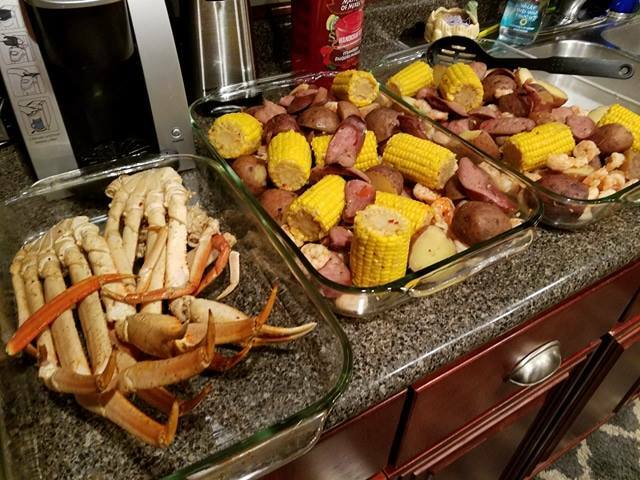 Our family is small so we don't do a lot of cooking for the holidays, however we still wanted to do some entertaining so we hosted a simple low country boil at our home in true southern style. 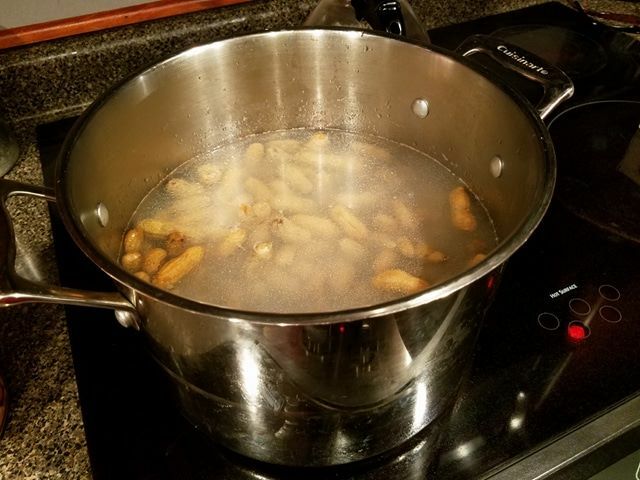 We had Low Country Boil, mixed drinks, boiled peanuts, wine, peach cobbler and ice cream. I mean, seriously, can we GET anymore SOUTHERN?! LOL I knew how much I wanted to spend on everything and I certainly did not want to go over my budget (there's a lot more holiday left in the year…HA!) so I brought a Green Dot Load & Go Prepaid Visa Card to the local seafood market and a couple of other stores. Having that money on the card already was a casual reminder to not go over my spending budget. Most importantly, it was also a way for me to set that money aside away from my bank account like a set-it-and-forget-it kind of thing. I'm notorious for going over budget, especially when I want things to be PERFECT. Anyway, we had a great time entertaining! I hope that you enjoy the pics! What's your favorite way to save a little money during the holidays? 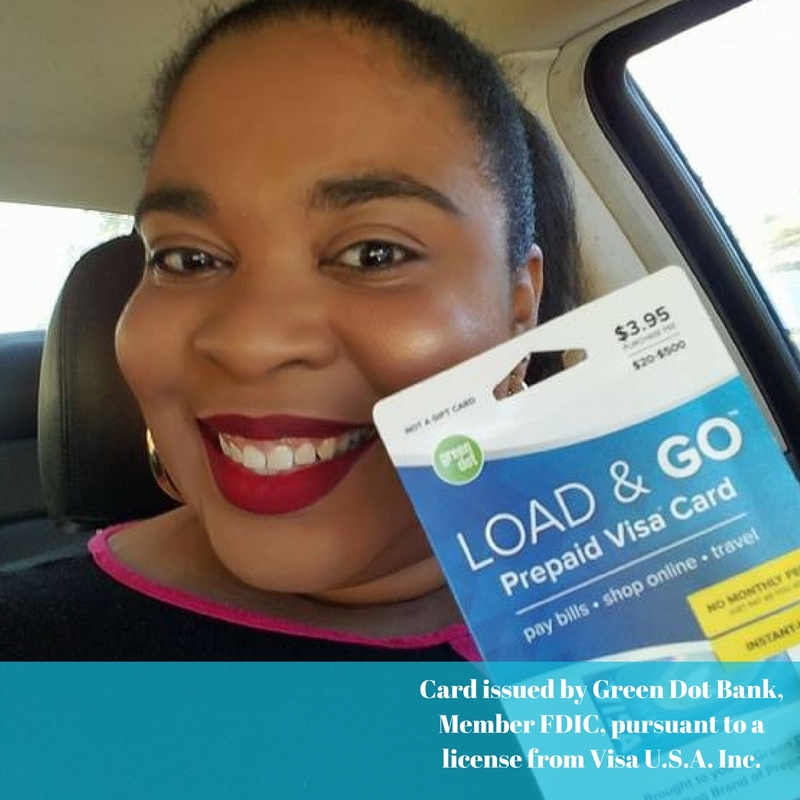 I was asked by Carusele to participate in the #GreenDotCards at Walgreens campaign, sponsored by Green Dot Corporation. Although I have been compensated, all opinions are my own. The holidays is always a hard time for my family. Our family is small, so this time of year always reminds us of the people that we've lost. It's hard to be festive when you're going through a grieving process that feels like it’ll never end. My father's birthday is on New Year's Eve and it's been 11 years since we lost him to a simple act of senseless gun violence. It still hurts like it happened yesterday. A little back story: My family was basically like the TV family the Huxtables. 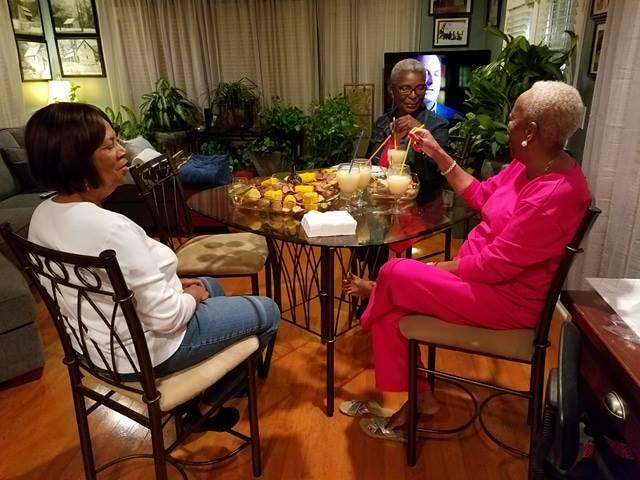 My mom was an educator who taught school for over 30 years and my father was an engineer and conductor for the railroad. Good family, good jobs, good kids & good values. Random gun violence was the last thing that we ever thought would touch our family. My father was killed during a robbery at a friend's house during a game of cards. A simple activity that lots of guys like to get together and do. We never thought that something like this would happen to our family. We didn't live in a bad neighborhood and he wasn't playing cards in a bad area. We weren't affiliated with drugs or gangs or people who would be considered “thugs”. It was a matter of being in the wrong place, at the wrong time and being the wrong person in front of a gun. My father's death is one of the main reasons why I'm absolutely terrified of guns and I strongly support causes that want to make gun laws tougher. A lot of people mistakenly think that I’m against guns period and I’m actually not. If you feel that the best way to protect your home is to have a firearm, you obtained it through legal means and you know how to use it, then you're definitely well within your right to own one. I do however feel that it should not be so easy to purchase a gun- especially multiple guns. I feel that if a gun is something that you truly feel you need to have, then it should be no problem for you do what it takes to own one legally- even if it is more inconvenient for you. Whenever I share these thoughts on social media, I am bombarded by people who claim that people are going to get guns no matter what from the so-called “Black Market”. Yes, I am aware that there is an underground network where you can illegally obtain guns. But, when you think of the mass shootings that have been all over the news for decades, those guns were more often than not, purchased legally and through loose measures. Even though the gun that killed my father was unregistered and most likely obtained through this “black market”, I connect with victims of shootings like Sandy Hook and Las Vegas because I know how it feels to have unexpected, senseless gun violence creep into your family out of nowhere and change things overnight. It makes a loved one's death so puzzling on top of the already expected grief because they died in a way that was so different from how they lived. It's why I was always support gun violence causes and always fight for gun control. My father was truly a unique individual and he loved his family so much. You was always the jokester at every party and people loved him for it. Through his actions, he taught me not to let life bother me too much. Be serious when it counts but don't take life too seriously. Laugh, have fun and make others have fun too. That's why when Southern Stamped Jewelry Co. reached out to me and offered to do a memorial piece to honor my father, I knew the exact quote that I wanted to use. Southern Stamped Jewelry Co. Put together this beautiful bracelet for me with this quote and a few charms that represented some of my father’s favorite things which was playing cards, the railroad and even his birthstone (December). I was so delighted to receive my bracelet in the mail. He would have been so proud. Now, I have a beautiful piece of jewelry to look down at everyday and remind me of what an incredible individual my father was. I know it’s special because the company’s creator Alison, started the after losing her own father too, as a way to comfort others who had lost loved ones. Southern Stamped Jewelry Co. has a beautiful collection of handmade jewelry that can be purchased for any occasion with TONS of customization options. Check out their web page and get started on your next beautiful piece of jewelry with heartfelt meaning. http://bit.ly/TLCSGunViolence *This post is sponsored by Southern Stamped Jewelry Co. No monetary compensation was received- only product for review. All opinions are my own. There was also a beautiful VIP area with twinkling lights that led the way to bottomless mimosas and bloody marys in commemorate glasses from Goose Island Beer Company. I didn’t get to taste everything but I did get to sample some Chazito’s with those amazing empanadas, Savannah Pop’s delicious gourmet popsicles, an awesome quiche from Our Daily Bread Bakery and a tasty Maple Bacon Bar from Rise Biscuits Donuts! The event started around 11a and ended that afternoon at 4pm. Aside from filling up on all those glorious treats, there were games, retail vendors and live music to jam out to! 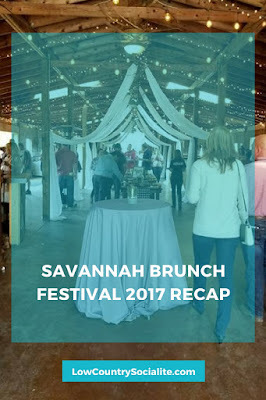 Savannah’s culinary scene is booming and I am loving every bit of it. Savannah definitely does brunch right and these restaurants certainly proved it! What’s your favorite brunch item? Mimosas, donuts, breakfast pizzas….!? For me, it’s anything with bacon!